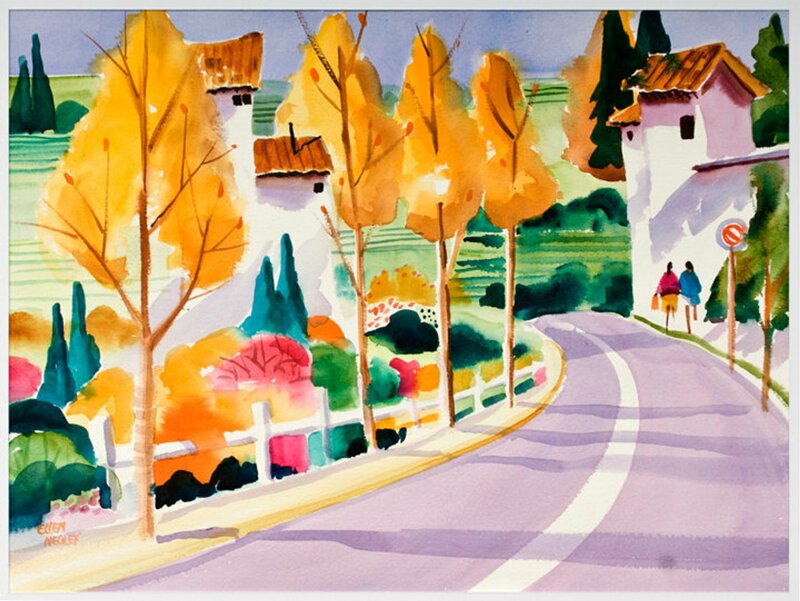 "UMBRIA LIGHT" was inspired by a trip my husband and I took to Italy. We rented a car and drove through the Italian countryside and visited so many cute little towns. The quality of light was really spectacular. Each time you turned around there was a watercolor in the making!